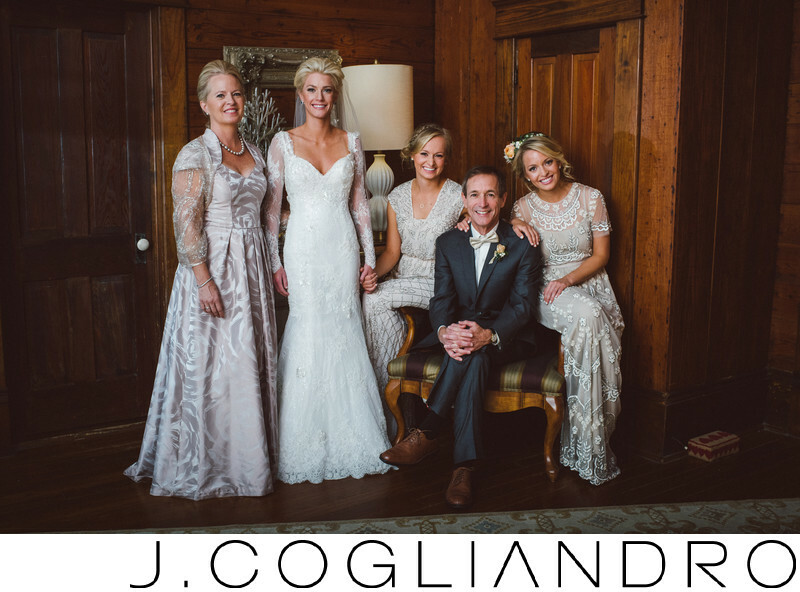 This family portrait is one my favorites not only because they are dressed impeccably, but also because of this beautiful country home where all the getting ready moments were held. Simple touches like the bride holding one of the sister's hands and the proud dad surrounded by his daughters made this so special. Keely Thorne coordinators did an excellent job making this country barn and home look spectacular for this wedding. Love working with Katy and the girls at Keely Thorne.